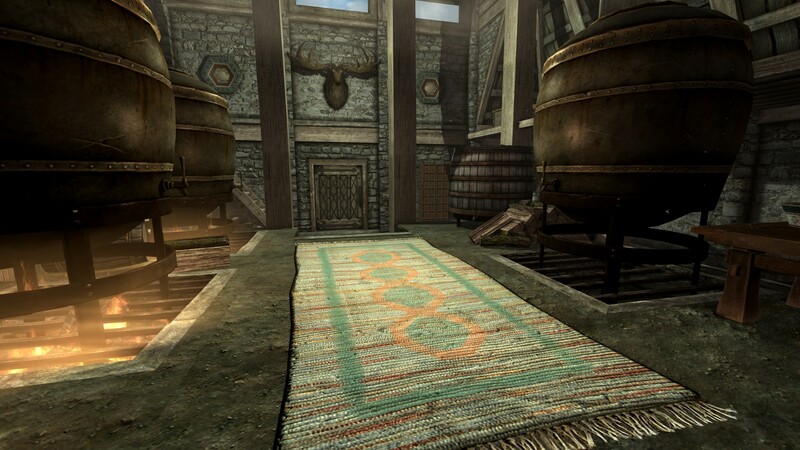 10 Facts You Should Know About the Elder Scrolls! There are a lot of articles and videos made about series, like the Elder Scrolls, in which some quickly Googled facts are thrown together into a list with some stock images with some randomly chosen memes overlaid. After considerable consideration, I decided to not make this blog entry one of those articles, by not doing that whole "Google" or "Facts" part. Thus, I present to you, 10 Facts You Should Know About the Elder Scrolls! Bethesda's presentation this year came at an unusually late time - midnight EST. Here's a link to the full thing, if you're interested. Overall it was a smaller presentation than their previous two, without anything too earth-shattering, especially with regard to The Elder Scrolls. We weren't expecting ES6, after all, considering how at the last E3 they said that BGS is working on two major projects the size of an ES or Fallout game before then, and not to expect ES6 for years. There was still some news about some new games of theirs, and DLC for the existing Elder Scrolls games. Today was apparently the press day for ESO's Morrowind expansion, because in addition to the first gameplay trailer, there were tons of interviews and articles revealing more information! The next update to ESO was officially revealed yesterday in a Twitch stream that was heavily hyped by Zeni. While we were aware that the next update was going to include Vvardenfell - which seemed to be confirmed by the "volcanic" promotional images they teased us with - we weren't aware of everything the update would contain. I'm back again with another game review post. Well, not a review, since I've not finished it and couldn't tell you if it sucked or not, but it's an overview and my impressions. I love those old turn-based RPGs, and I have plenty of memories of playing Final Fantasy IV and Golden Sun on the old Gameboy systems. I also love South Park, so a couple of years ago, I was thrilled to find out that The Stick of Truth was being made, though with my owning so many games that I've not gotten around to playing them all. I haven't really gotten around to this one until recently, and I really enjoy this one and want to share my impressions of it. And, I know South Park is a game that's totally inappropriate for younger audiences and the workplace, but this post is safe for work, as are the screenshots that I took of my gameplay to supplement it.